Happy Friday friends! My parents have arrived from Florida and will be here for the next 10 days and I can't even tell you how happy that makes me! Not only have I missed them so much, but Sophia has already had so many changes since my mom left, I know they are just as happy to spend time with her! 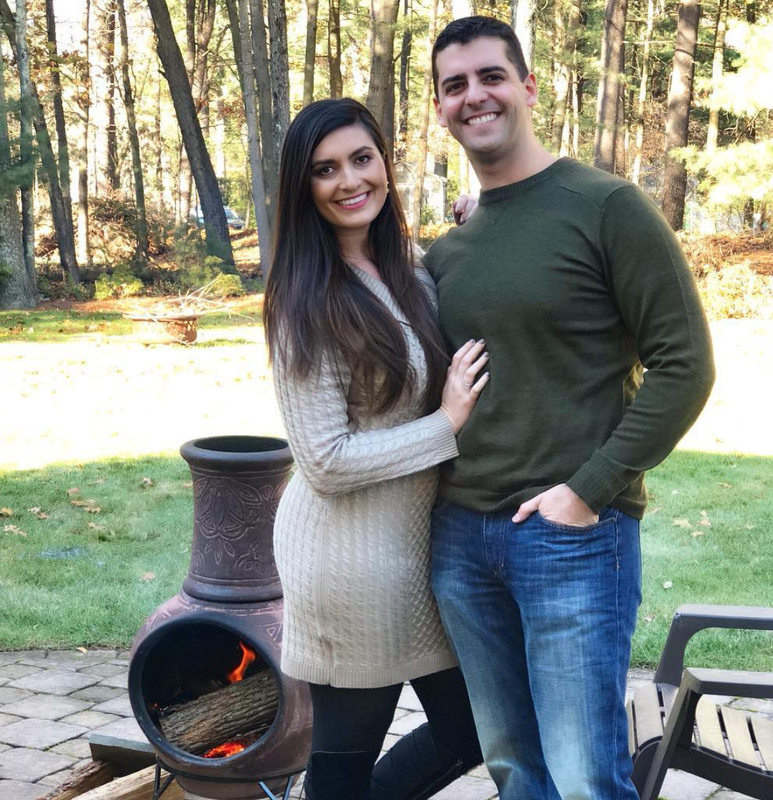 With the start of my absolute favorite season, I wanted to share a few things I'm excited to do with Sophia in tow. Of course she'll be far too little to remember any of this, but it's her first fall and that needs to be documented! Apple Picking & Pumpkin Patch || Gary and I have gone apple picking since we started dating and we're both excited to introduce Sophia to this Fall tradition. We wont be venturing too far out this time around, but hoping to hit a little farm near the city this coming weekend - weather permitting. We're no doubt going to have a lot of apples, so I'll plan on making my sister's delicious apple pie. Little Lion - she is a Leo after all! Trick or Treat || Our neighborhood has a really great block party for Halloween and all the kids take to the street and go house to house to get candy and show off their costumes. One of the things I do while Sophia eats in the middle of the night is browse costumes on Amazon and I think I've narrowed it down to three. Which one would you choose? Thanksgiving last year and little Sophia was already cooking! Thanksgiving Festivities || Thanksgiving is my absolute favorite holiday and I'm so excited to have Sophia experience her first one - even though she won't be enjoying any of the food! We'll be celebrating at my sister's house this year and once again my parents are flying up for the occasion. If I haven't mentioned this before, my parents are going to be moving up to Boston in January of next year and to say we are all thrilled to finally be reunited would be an understatement! Something Navy Collection || I wasn't planning on shopping the Something Navy collection at Nordstrom, but after seeing this cute beanie, I decided it would be great for winter and here in New England you can always use a winter hat! I went with Light Heather Grey, but it comes in 3 other colors. Circle Leopard Buckle Belt || Popped into Gap and saw the cutest belt & it's currently on sale for $21! I will be wearing it all Fall long! Perfect Doormat || If this is not the most perfect Fall doormat - I don't know what is! Now I need to convince Gary to be okay with being "basic" LOL! I hope you all have an amazing weekend! See you back here Monday for a little weekending! Enjoy your time with your parents! I like all three costumes, but the Little Monkey is my fave. Why are baby costumes so cute?! Sophia is going to be precious in whichever one you pick! I think this fall is going to be your most fun one yet! And yay for your parents moving up!! I didn't know your parents were moving to Boston!! That's so exciting and I'm glad they are going to be close to y'all now! Love those Halloween costumes! I can't wait to dress a baby up next year--they are all so cute that I don't know what I'd choose!! All of those costumes are cute, but my first oh yeah, was the unicorn! Yay for your parents moving up there soon, that's such a blessing. Have a great weekend! Aww I love the lion costume! There are so many adorable kids costumes these days. Loving the grey beanie too! Have the best time with your parents, that'll be so nice to have them close by as Sophia grows! Happy Friday girlfriend! Amanda @ Have the best time in Nashville girlfriend! You are going to love it!! That red dress from macy's would be perfect for fall with some cardigan's over it when it actually drops down to the 60s for you! You're grey hutch with the Fall Ya'll sign is adorable too! The unicorn gets my vote!! And yay for all these fun traditions!! All of those costumes are so cute! I'm really hoping that I get to a pumpkin patch this fall. Those are a few of the cutest costumes. Enjoy your time with your parents ! 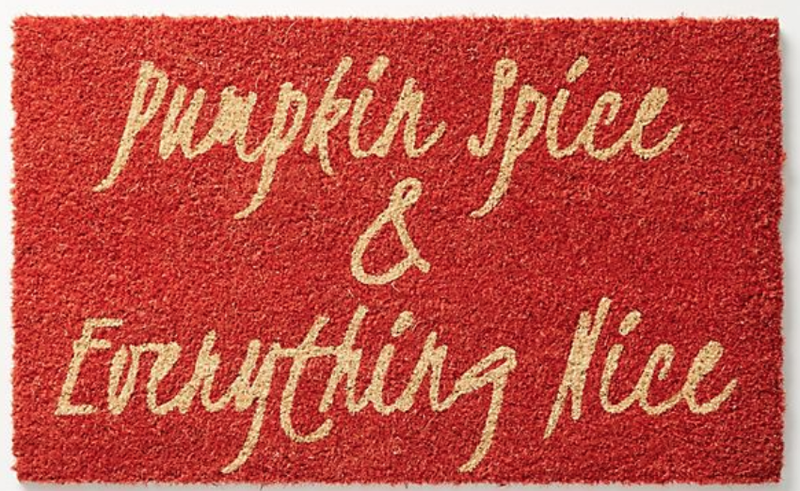 That door mat is the best ever ! Happy Friday ! Aw, such fun traditions that will only get sweeter with a baby. 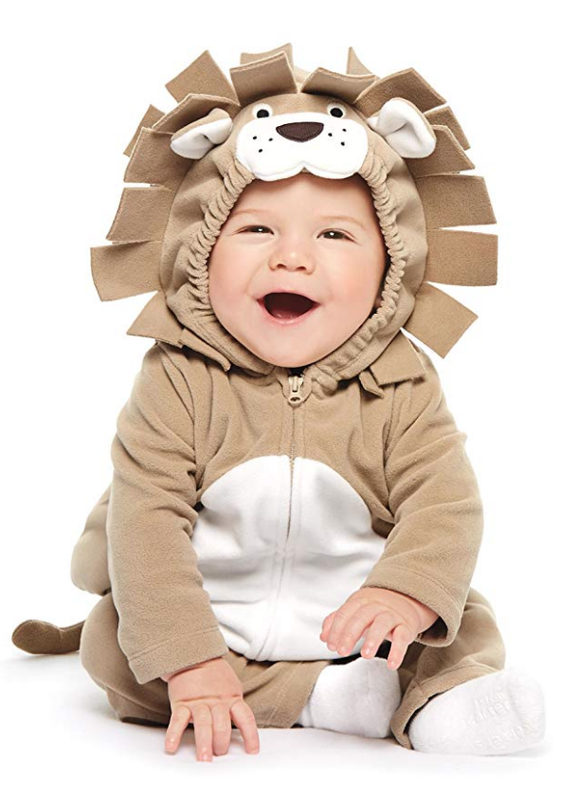 Walker and Knox were both lions for their first Halloween’s, so my vote is on the lion! 😉 Enjoy your time with your parents! Love that beanie!! If it got colder here I totally would have ordered it. It looks so soft! Umm baby costumes are the best - how cute!! 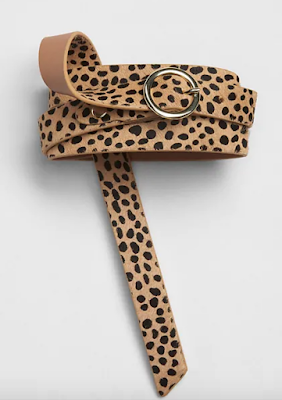 PS that belt is also pretty cute! Oh what a tough decision with the costumes. All three are darling, but I think I like the unicorn and the monkey the best. I don't think I can choose between those two! And how wonderful that your parents are moving up to be near y'all!!!! I know you are just ecstatic!! Oh my goodness, those costumes! They're all precious, but I think I'd go with the unicorn for your sweet girl! 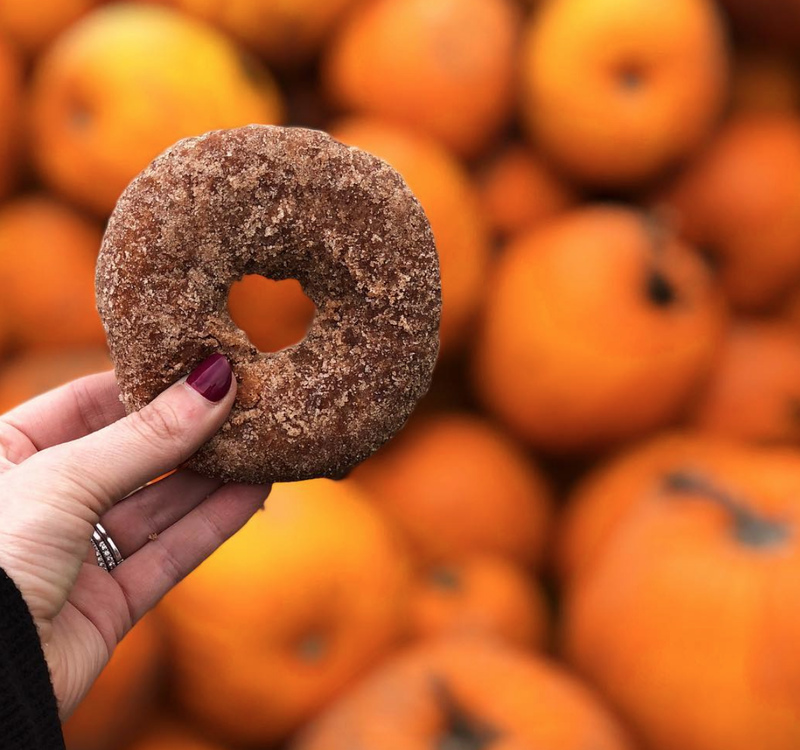 I'm so excited for all the fun fall things, too, and I'm drooling over that picture of a cider donut haha #pregoproblems ;) happy Friday! I'm totally with you on documenting and enjoying their firsts, even if they don't remember them at all! 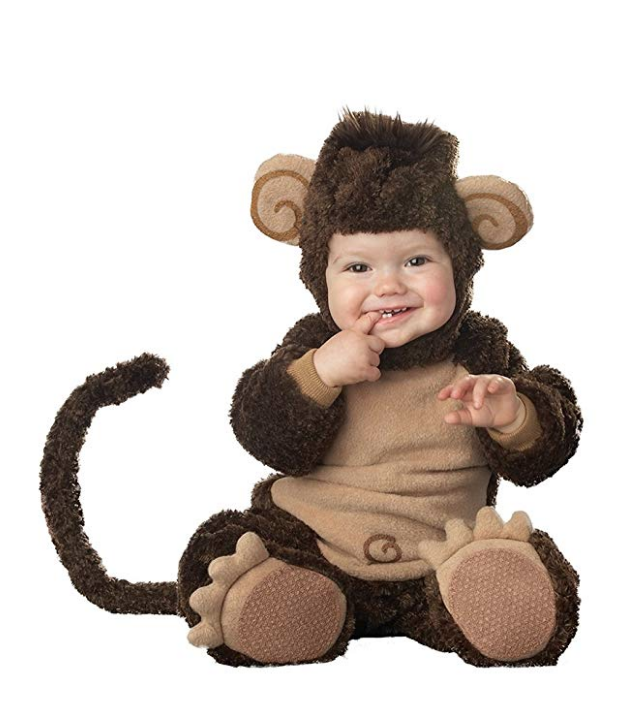 And those Halloween costumes are so cute, but I think that the unicorn or the monkey might be my favorite! And hooray for your parents moving back! That's going to be so awesome to have your entire family so close! I vote the lion because she is a Leo like me! I love that. 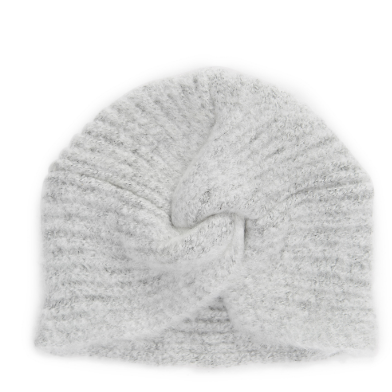 And that beanie is sooo cute. Love that. Have a great weekend!!! That is awesome that your parents are moving back! 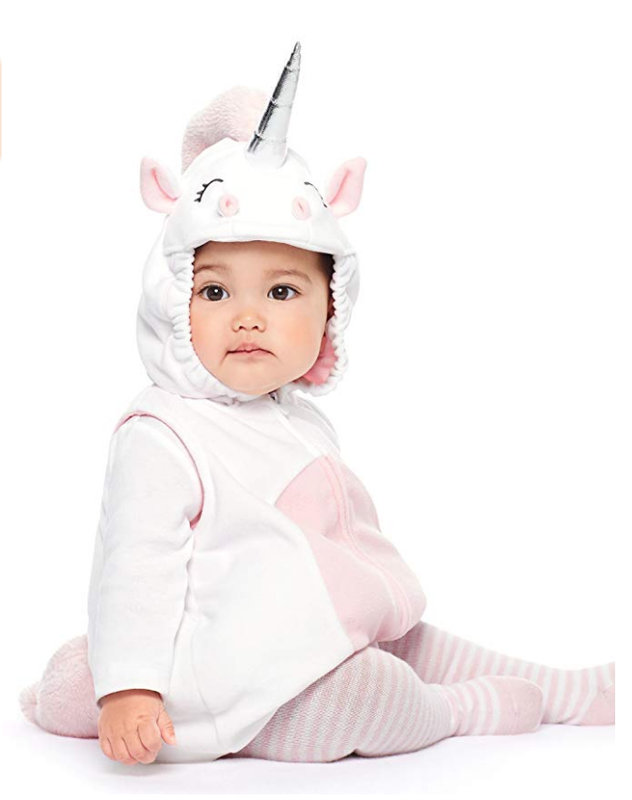 I love love love the unicorn costume and contemplated it for Zoe last year...but ended up using one of my nieces old costumes because it made my MIL happy. I think that you cant go wrong with any of them though. I hope you have the best time with your family in town!!! All the holiday and fall traditions are more special with a kid! Hope you enjoy! There is just something so refreshing about Fall! I LOVE all of those costumes but especially the lion and monkey. First holidays with little babes is so much fun! This will be our daughters first Halloween, Thanksgiving, Christmas also! Awww!!!! Enjoy your time with your parents!! I love the lion costume!!! Cute, cute, cute!! Those baby costumes are super adorable! Also, I love the doormat, perfect doormat indeed. I just mentioned in today's post that we did the same with Aviah when she was about 3 months, so around the same age. I agree, even if they don't remember, it's nice to have some photos for us to look back on and for them to see when they're older, too! Thanksgiving is also one of my favorite holidays and even more fun with the little ones! We got a onesie that said baby's first on it and around that time she was able to have a little taste, so we just dapped our finger and let her taste the sweet potatoes and her facial expression was priceless, haha! Definitely something to look forward to. By the sounds of today's post, you enjoyed your weekend and I hope you continue to enjoy the rest of the week with the fam! All three of those costumes are adorable! It is definitely going to be difficult to pick. And YAY for your parents moving. That is beyond exciting!!!!! Aww have an awesome time with your parents! That's great they are moving to Boston. Love the Unicorn outfit! you can't go wrong with any of those costumes, so cute! can't wait for some apple cider donuts. I love the lion costume! How exciting that your parents are moving closer! I know they (and you all) will be so thankful for extra time together!